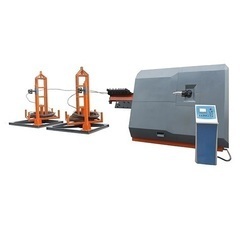 With its wide experience in the field of manufacturing construction equipment, Jaypee has now come up with the world class stirrup bending machines. These stirrup benders from Jaypee are manufactured by an expert team of engineers and hence are innovative and user friendly. - Used for making stirrups. - Accepts pre-straightened Stock Bars only.